DuckDuckGo Search Engine Submission 2018 – How to Submit your Website to DuckDuckGo.com is a matter of concern now? Duckduckgo has gained a lot of popularity in Search Engine Field in last 2 years. So every blogger wants to submit his site/URL to duckduckgo.com for Indexing and traffic purpose. Today, In this article, I am going to deal with “Duckduckgo Search Engine Submission”. So Let’s Start this With what is duckduckgo? How does Duckduckgo Search Engine works? How to submit your site to Google, Bing, and Yandex? Basically, duckduckgo also called by domain duckduckgo.com is a search engine like google, bing, and Yahoo. After Google, Bing, and Yahoo, I love to keep duckduckgo. It is a great Search Engine. But duckduckgo is a meta-search i.e It is a metasearch Engine. Google, Bing, and Yandex have Webmaster Submission Process, But there is no Webmaster Submission in duckduckgo and Yahoo. They both rely on different search engine to crawl a user site. Read More – Apply for infolinks and maximize your Blog revenue. Unlike other search engines, DuckDuckGo doesn’t offer any kind of webmaster tools. Duckduckgo also not offers URL submission. So, Is there any way to submit your site to DuckDuckGo. Yes, they don’t have any kind of a crawler that is going to crawl your website. To index your site, you have to rely on the search results from other search engines and come up with a way to index your site. There is no need to submit your site to duckduckgo also there is no way to submit. As duckduckgo automatically index your site. So, It might take some time to show your site on duckduckgo search Engine. I have made a Youtube Tutorial on Google, Bing and Yandex Webmaster Submission. Have a look at that. Once you Submit your Site and URL’s to Google, Bing, and Yandex (anyone, but you can submit all to get instant result and traffic) then It might take maximum 15 days to duckduckgo.com to crawl and index your site from these search Engines. So, You need to rely on Google, Bing, Yandex Search Engines to show up your results in duckduckgo search Engine. Duckduckgo mainly works on meta keywords Like meta title, meta description. It shows results by metasearch. So, if your meta is strong. you can easily rank high in Duckduckgo. To get more on this, you can visit duckduckgo original website. 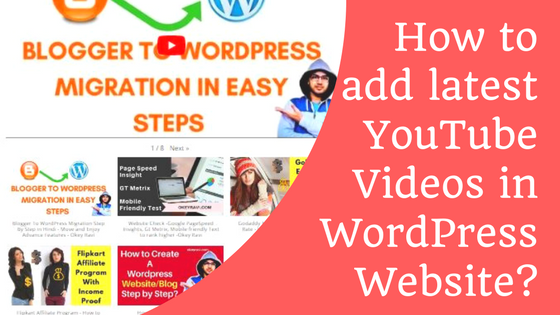 Read Also– How to create a website Step By Step? 1. Create an account with Google Search Console. 2. Once logged in, click on “Add a property” link and add your website. 4. Click on the site to go to your site’s dashboard. 5. Expand “crawl” on the left, go to “sitemaps,” and add the sitemap of your site. You can find your website sitemap at http://yourdomain/sitemap.xml as in my case it is https://okeyravi.com/sitemap.xml. Once submitted Google crawlers will take some time to crawl and index your links and images. 1. Create an account with Bing Webmaster’s tool. 4. Click on the name of the site you just entered. 5. Click on “Configure my site” on the left and then go to “submit URLs” and “sitemaps” section to enter details of your site. 1. Create an Account With Yandex Webmaster tool. So, You have understood now, How to do Webmaster Submission Easily. if You have any issue you can comment below. If You have a small business or blog and you want to submit your site to duckduckgo search engine, then the easiest way is Yandex webmaster Submission. As you know Google and Bing have a vast network. So, duckduckgo will take some time to index your Website in his directory. It is very important to gain referral traffic these days on a blog and search engines like duckduckgo will play an important role in this. Secondly, this search engine is findings it’s height now. that could be beneficial for you in near future. So, You need to submit your site to duckduckgo.com. It is very important and you don’t have to miss it anyway. If you have any query regarding blogging or this topic then you should comment below. 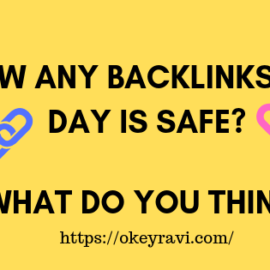 Read next– Top 105 ways to gain high-quality backlinks. How cam I submit website in duckduckgo search engine? You don’t need to submit your website to Duckduckgo search engine. There is no any process defined for that. Just submit your website to Google and Bing webmasters, it will fetch from there. Nice one, It helped. My website is now coming in Duckduckgo search result. Thanks buddy form your article give me such quality information. Thanks again. Hello Ravi, Thanks for sharing this informative article. I don’t think there is a more sorry search engine than DuckDuckGo!!!!!! Best Ravi . APP ni Bahut Acha Describe Kiya . YENDEX. GOOGLE. BING . YAHOO. AND DUCKDUCKGO SEARCH ENGINE ki baare main . THANKS For Sharing your thoughts with all …. ????????????????????????????? Have you done duckduckgo submission? Hey Ravi, very nice information, I have checked some other post of yours and I must say that all post that you have written are very helpfull. keep up the good work. I tried putting this code into my website header, and my website header scribbled all kinds of text and codes on the homepage where customers could see it. I still cannot get my website back functioning like it was since I added this code. I removed it and my site still not working right. All kinds of code Is showing on my webpage. For better SEO follow duckduckgo submission as well. I have been looking for ways to submit my blog; https://www.techmatas.com/ to duckduckgo until i saw this post. I have submitted to Google and Bing. Let me go submit on Yandex. Thank you so much for creating wonderful Blog. I have a query. How can we generate a sitemap from our website? Thank you for the great post. This article is really helped me. Hii, I have done duckduckgo Submission, A very thanks for this post. Duckduckgo is really an amazing Search Engine. Hey, thanks for your valuable comment about duckduckgo submission. Yes, I have the script you asked.